I wanted to share a little gem with you today. I am a serious shopper! and I do a lot of online shopping as well but I never ever confirm my purchase before first checking for online coupons. 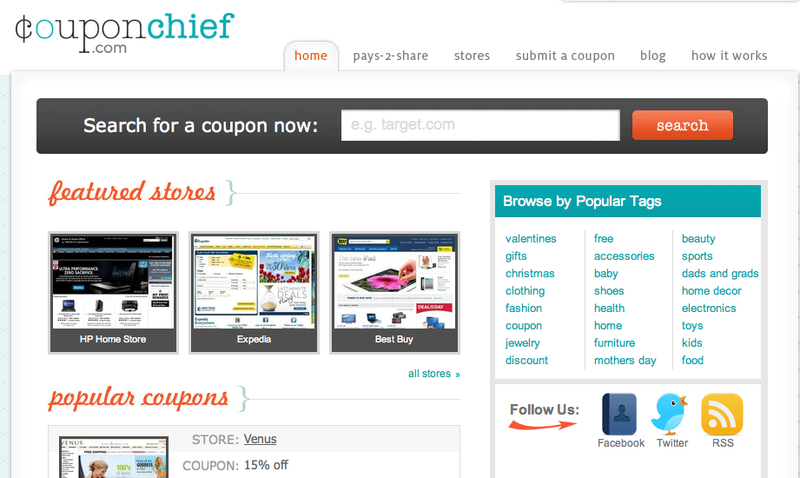 I have used many coupon sites but today I want to share the one I like the most and I will tell you why. So many of the online coupon sites are hard to navigate and often times look crowded which makes it really difficult to navigate but what I like about coupon chief is how clean and uncluttered the site is. Its easy to navigate, always has coupons to so many of the shops that I purchase from like Joanns, Gojane, bakersshoes and many more. They also have a really neat "pays to share" section where you can earn some cash from sharing coupons that you may have come across. The hubby took me shopping last night for some shoes and although I am DYING!!! to show you my heels I am only sharing my new sandals today ;-) I love these! Those are cute! And very affordable, thanks for the heads up on the coupon site AND the AE discount. I have followed your blog for some time now. I just want to tell you that I think you are so talented. I love your style sense. I'm from the Chi, and you have inspired me to finally enroll in a sewing class @ Vogue. I'm excited. Thanks for the inspiration, and keep sharing! Wooohooo another Chi Town Sis! Yay for you! I love going to Vogue Fabrics when I go back home! Don't change who you are Mimi G! I was raised the same way and it may not be the way of others but so what! BE WHO YOU ARE! That's why we check out your blog. Folx will get over it. You've totally inspired me to learn to sew.